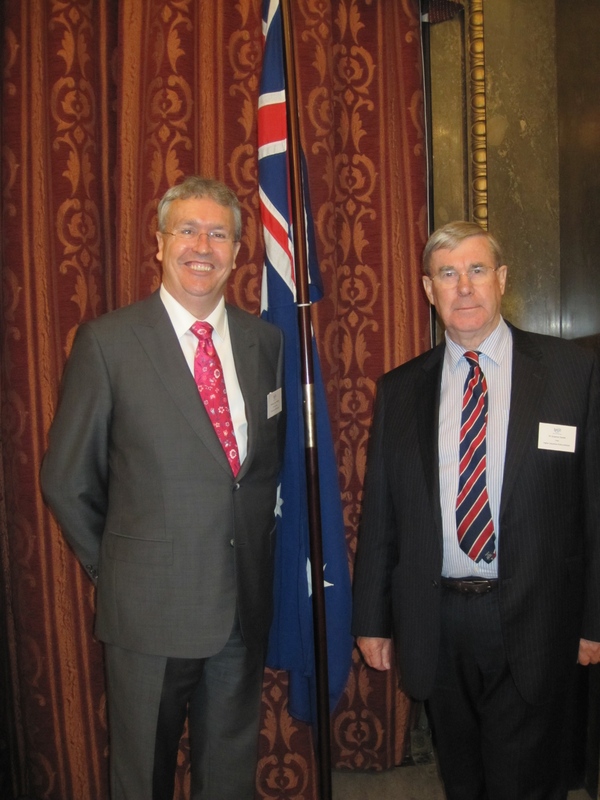 Below is the full text of the 2014 Hepi Annual Lecture by Professor Paul Wellings, Vice-Chancellor of the University of Wollongong, which was delivered at Australia House on the evening of Wednesday, 26th November 2014. A full version of the lecture with some supporting slides is available in pdf format here. It is a great pleasure to be here this evening and to see so many friends and colleagues with interests in our universities and in the development of higher education policy. To the Chairman of HEPI, Sir Graeme Davies, and to your fellow Trustees and Advisory Board members, thank you for doing me the honour of inviting me to present the 11th HEPI Annual Lecture. I began my academic life as an undergraduate in London at King’s College, just over the road from tonight’s venue here at Australia House. Since then I have had the privilege of working in the research and higher education systems of the UK and Australia throughout my professional life. So it is no surprise that tonight I am going to focus on various aspects of the two university systems and to examine some of the structures and policies driving the sectors in both countries. Earlier this year, the then UK Minister for Universities and Science, The Right Hon. David Willetts MP, spoke at the Annual Conference of Universities Australia in Canberra. He began by pointing out that Ministers, of all political persuasions, arrive in this portfolio excited at the prospect of having responsibility of a significant and well-structured sector. But then they find that, rather than being asked to admire the architecture, they are actually required to engage in continual fine tuning, or worse, emergency repairs of the plumbing systems. And, of course, at an institutional level, the same can be said for Vice-Chancellors. No matter how fine the strategy and how fine the structure, there are always new policies to implement and contentious operational details to deal with in every university. In February 2003, Lord Dearing gave the Inaugural HEPI Lecture. On that occasion, Ron Dearing reflected on the work the committee he chaired in 1996/97 and the 2003 White Paper which had just been published around the time of his speech. That evening Lord Dearing talked about four themes: Finance; Competition and Growth; Diversity of Provision, and the role of Higher Education in Society. Notwithstanding all the changes in the past decade all these issues remain at the core of the debate on the design of effective higher education systems. We are now 11 years on and, nothwithstanding Ron Dearing’s plea for continuity of policy, the recent period can only be recalled as one of rapid and substantial churn as UK Governments have attempted to drive participation, strengthen the national system of innovation and control the direct public costs of higher education. Over this period, very similar issues have dominated the debate in Australia. So tonight I am attempting to compare the current position of two higher education systems which have done similar things but in a different order, and in different social, political and economic settings. So my comparison comes with a health warning: the Australian university system clearly has its genesis in the traditions of the British university system of the Victorian era. The country’s oldest university, The University of Sydney, was founded in 1850. The coat of arms of the university carry the motto “Sidere Mens Eadem Mutato” or “Though the constellations change, the mind is the same”. Under the Southern Cross the British Empire set out to clone its university system. Since then both systems have evolved to meet the needs of economies with rather different industrial and demographic profiles, and very different geographies. Our collaborative networks overlap. We work together directly. We both have very strong relationships with institutions in the US system. And we have rather different levels of engagement in Europe and Asia. So, like all comparisons it is difficult to completely align like with like. I have avoided a detailed technical analysis of the support mechanisms and loans structure as these have been the subject of detailed coverage in a number of studies commissioned by HEPI during 2014. Let me begin with a short primer on Australia and the UK. Notwithstanding the differences in the size of populations and scale of the two countries, the annual expenditure per student is ahead of the OECD average, private expenditure is well ahead of the OECD average and the total expenditure on educational institutions as a proportion of GDP is broadly similar. The two higher education systems have the same elements and deliver very similar outputs. Policy makers have watched each other make changes in Canberra and London and have frequently incorporated modifications into the local policy framework based on those observations. Both countries have unified sectors, evaluations of research excellence and uncapped domestic undergraduate number controls. Visitors to Australia are often surprised by the degree of urbanisation and the scale of centres of population. There are five major urban areas with a population of more than one million citizens. The ten largest centres account for more than 60% of the total population and almost 75% of the university main campuses. In contrast the ten leading UK centres of population account for around one third of the population and over 40% of university main campuses. The aggregation of universities in Australian State capitals has a large influence on student choice as most prospective students select from a very small pool of institutions. The scale of the country limits mobility as students tend to study within their home state and, more often, close to their nearest city. This pushes Australian universities to have, on average, a larger number of students and a fuller spectrum of disciplines on offer. These features contrast with the United Kingdom where students have a large number of institutions within two hours of travel and, often, choice between universities with a full spectrum of disciplines and specialist institutions. A large proportion of students in the UK live away from home. Many of these students choose to live in university residences. This drives the student experience as students organise their social and cultural lives around the campus. In contrast, the focus on the student experience in Australia is less coherent as many students travel back to their parental home each day and make their social arrangements with existing networks often derived from high school. Australian high school students leaving at Year 12 study for examinations organised by a Board of Studies in each State and receive an Australian Tertiary Admissions Rank (ATAR). The ATAR rank compares students who have taken different combinations of subjects and is used as a basis for entry into university courses. The ranking gives each student a score in the range 0 – 99.5. The results from other examination systems, such as for example the International Baccalaureate, are translated onto the same scale. Universities set different thresholds for entry into different programs. Students with ATAR scores of 70 plus have a high probability of receiving an offer for a place at university, although this may not be for their preferenced course of study at their preferred institution. To date the majority of high school students have been admitted post-qualification. However, this system is eroding rapidly as the uncapping of student numbers has caused universities to compete and to respond by making early offers, prior to the examination period. While the details vary from the UK’s Universities and College Admissions Service, the overall consequences are similar. Students with a weaker ATAR score and poorer A’level results have a lower probability of being given an offer. In NSW the proportion of the school leaver population achieving a score of 70+ varies by location. For example, the affluent areas in the North Shore suburbs of Sydney have many excellent schools and more than 80% of school leavers achieve 70+. In contrast, less than 50% of school leavers in remote and outer regional NSW meet this threshold. Universities servicing these areas cater to students from a vast area and are required to offer transitional pathways to university for students who are more likely to be first in family to university and often from lower socio-economic households. As in the UK, there is a correlation between weaker high school results and the socio-economic circumstances of these students. The uncapping of student number controls has triggered a sharp increase in the number of students coming directly into university courses, often at the expense of other pathways. Many of these students have lower ATAR scores. The time series data over the past five years shows that there have been big increases in the cohorts of students with ATARs in the range 50 – 60 and below 70. Offers to students with scores of 70+ have remained relatively static over the same period (Figure 1). One other effect of the deregulation of student numbers has been the rapid growth in low SES students coming to regional universities. The well-established metropolitan universities in the Group of Eight share has grown at a slower rate reflecting their existing higher entry cut offs and the lower probability that low SES students will be in a high school environment where those scores are the norm. Successive Federal Governments have recognised the opportunity to widen participation and to ensure that students who are first in family to university have the chance to go to universities for which they are qualified. The Government has sought to address the variation in low SES participation by developing individual agreements with each university. These set out institutional specific targets for students with Aboriginal and Torres Strait Islander heritage, students from low SES postcodes and students with disabilities. The social asymmetries in Australia are as stark as those in the UK and universities are challenged to offer equality of opportunity in an environment where, for the majority of students, entry to a course is determined by academic performance at high school. Australia uncapped student number controls for all subjects (except Medicine) at the start of 2012. A number of universities anticipated this shift in policy and began increasing student loads in the two years prior. The demand for popular degrees. Almost all universities have increased the numbers matriculating into their courses. The rate of increase and the difference in popularity of some courses has increased the demand for academic positions. However, given the volatility in changes to student recruitment, universities have sought to mitigate the risk of year to year changes in student numbers by further casualization of the workforce. In addition, many universities are introducing teaching-only academic positions and encouraging the use of specialist staff with high level skills in first year teaching. Pay rises and changes to conditions of employment are determined at institutional level through a formal system of enterprise agreements involving university management and locally recognised unions. The changes to staffing profiles and the workloads associated with increasing student loads has been a matter of concern in the current round of bargaining for unions and institutions. It seems unlikely that this issue will come to a speedy resolution given the medium term changes in demography and the uncertainty as to when uncapped fees will be permitted. In the Australian Federal budget of May 2014, the new Liberal government outlined its intention to cut the Commonwealth Grant to all universities by about 20% and to allow each university to set its own fees for each course. This proposal is still subject to ongoing debate in the Commonwealth Senate. The full consequences of the policy on direct public outlays and the indirect effects on the student loan book remain unknown. If this policy is adopted it is highly probably that university fees will rise in order to recoup the 20% cut to Commonwealth Grants and some institutions are likely to go further in order to recoup cuts made in the 2012 and 2013 budgets by the previous government and to generate additional revenues. There are public concerns about the institutional response to these changes and the likely differentiation of the sector as not all universities will move to a high fee regime. The Government wishes to create more competition between institutions and fee differentiation is one way of doing this. In order to ensure that all students, irrespective of their social and economic circumstances, have the opportunity to attend a university for which they are qualified the Government will require universities to allocate some of the new funds towards a pool of scholarships. There have also been changes in institutional behaviour. The prospect of price-based competition for student numbers has meant that the Governing Bodies of universities are already focussing on Australian competition laws and the risks associated with non-compliance. The Executives of Universities have also made changes. Under the Government’s proposals there may be an increased value of pathway as routes into degrees. This has caused many institutions to examine the merits of diversification of pre-degree programmes. There is a growing demand for very high quality analytical tools and university planning offices are under greater pressure to provide real time analysis on demographic trends, sub-regional data, models of competitor behaviour and changing patterns in subject demand. Universities are now enhancing their investments in marketing and are appointing more staff with specific marketing skills in the education sector. There has been a step change in the sophistication of marketing via schools’ liaison processes, open days and social marketing in Gen Y students. Traditional forms of marketing on television, radio and billboards are also commonplace for all types of universities. The deregulation of the Australian system has increased the number of students entering universities with lower ATAR scores. In the past these students may have progressed into tertiary education via alternative pathways. The sharp increase in students with ATAR less than 60 has generated debates about the level of preparedness of these students and concerns about attrition rates, particularly during first year. The countervailing view is that the new policy has created transformational opportunity and universities should place more emphasis on first year transition and improve contextual support for these students. The policy has allowed universities to work in an environment with demand driven growth. Inevitably, this has caused some disciplines to recruit more students. Many Australian universities have Schools of Education which provide practical training for students on Primary and Secondary Education courses. Across the country, student numbers on these programmes have increased rapidly and many of these students entered with lower ATAR scores. The changed profile for students on teaching training courses has triggered Commonwealth and State Government concerns about entry standards and the likely demand for teachers in the state funded school sector. Interestingly, this debate is taking place before any students have graduated from these expanded programmes in a sector with extraordinarily weak workforce planning models. Other professions have also expressed concerns over the volume of students in specific parts of the system. Professional bodies with oversight of areas such as Law and Dentistry are lobbying about enrolments and the long term career paths for graduates in these programmes. One consequence of the policy leading to uncapped numbers is likely to be a long term structural change to professions which, until now, have been relatively difficult to enter and highly protected by industry associations. This could make these sectors more competitive in the medium term. It will also challenge graduate recruitment practices and force firms to consider graduates from less traditional backgrounds and with different life experiences. One of the key characteristics of universities is that they undertake novel research. Government directives to all universities following the creation of the unified Australian university system placed this as a core function alongside teaching and community engagement. Both countries have hybrid funding streams to support research activities. Operational resources arise through the allocation of core appropriations, competitively won grants from government agencies and charities, and research contracts with the private sector and government departments. The source of capital resources varies. Australia has tended to allocate these funds through competitive processes. The UK has released block capital funding based on prior research performance. Academics and research managers in both countries would like additional operational and capital resources and spend time either arguing for more research funds or for alternative approaches to concentrate resource allocation. Worldwide a small number of universities generate a large volume of research publications. For example, data presented by the Centre for Science and Technology Studies, Leiden University in 2013 suggests that there are about 132 universities in 24 countries with 5,000 or more publications recorded in the Thompson’s database. Of these 12 are from the UK and 5 are from Australia. If scale was the sole criterion for future funding these institutions would dominate. However the policy framework in both countries has sought to recognise excellent teams ahead of institutional scale. Research Councils in both countries release project grants following detailed peer evaluation of research quality. And both countries conduct evaluations of research excellence from time to time. The UK has had seven cycles since 1983 and Australia has had two cycles since 2010. Notwithstanding the quality of the research in both systems, it is clear that most of the world’s outstanding research takes place elsewhere. Australia generates about 6,498 publications with citations in the Top 10%. The UK produces about three times as many with 20,224. However, these numbers should be read in a global context. The whole of Australia’s highly cited research output is just less than that of Harvard University. The top seven US universities produce more leading publications than the whole of the UK system (Table 5). It follows both country’s need for policy frameworks and incentives which encourage discipline specific international collaboration and mechanisms to allow individuals and research teams to collaborate with leading groups in other institutions. Interaction and collaboration with leading research groups around the world should be at the core of resource allocation mechanisms rather than being seen as an optional extra. The UK benefits from its links to the EU funding framework and the collaboration this brings. Australia needs to work hard to maintain policies for international collaboration with high performing R&D economies as the research sector is too small to become isolated. The productivity of the two academic communities shows remarkably similar distributions even though the funding systems vary. After correcting for the size of the research active community, the number of Top 10% cited papers per 100 academics provides an interesting insight into the strengths of institutions. On this measure an index greater than 30 per 100 academics is exceptional. Most research intensive universities score in the range 15 – 30 depending on the subject portfolio of their activities. Thirty-five UK universities and 11 Australian universities appear on this list. Only seven UK universities score more than 30, including some specialist and smaller institutions. Melbourne is the sole Australian university to register against this criterion. The long term policies associated with competitive allocation of scarce resources has generated a similar pattern in both economies. Outstanding research groups are concentrated in about one third of universities. Excellence is distributed across all regions of both countries and this “knowledge infrastructure” is an important asset in many regional economies. While the institutional pattern of research excellence is similar for both countries this similarity begins to fall away when the focus switches to higher degree research training. Twenty-five UK universities and eight Australian universities generate 25 or more higher research degrees per 100 academics, including 16 Russell Group and 3 Group of Eight universities. The UK data suggests that the organisation of graduate schools and the emphasis on completion produces a competitive edge relative to Australia. Over the past decade the UK’s Research Councils have established initiatives to encourage subject specific or thematic doctoral training centres and supported the advanced training of students. In addition, the UK has maintained its standing as a preferred destination for international students wishing to study for a doctoral degree. In contrast Australian universities have expanded registrations on undergraduate programmes very rapidly. Some universities appear to have lost their shape by not focussing systematically on doctoral student training and their completion. In the last decade the economic cycle in Australia has been underpinned by a resources boom and the growth of Chinese economy. Elsewhere the global financial crisis of 2008 has squeezed many economies, including the UK. In Australia, the Federal government established a sovereign wealth fund to manage the windfall dividend coming from the sale of mineral resources. Part of these funds have been directed to university infrastructure and have supported 50 major projects in 31 universities. This initiative sought submissions against a range of criteria and individual universities have identified local priorities. About 60% of the total pool has been allocated to 10 universities with a substantial proportion going to institutions in Victoria and New South Wales. This style of capital allocation differs from the institutional pattern in the UK which, for many years, was tightly bound to the parameters driving success in the allocation of block grant teaching and research operational funds. One consequence of the competitive capital allocation process in Australia is that newer universities outside the Group of Eight have won more than 60% of this investment as the Government has recognised local needs and prioritised emerging research areas. This investment pattern is a mirror-image of the patterns of success in ARC and NHMRC competitive grant funding where the Group of Eight wins the lion’s share. Australia and the UK have very different industrial structures and different levels of research and development activities taking place in the private sector. The UK has a number of R&D intensive industries, such as pharmaceuticals, fine chemicals, defence and aerospace. Australia has strong areas such as agribusiness and mineral resources. All vary in their demands for external contract research and access to new intellectual property. In contrast to many other OECD economies, both countries have very few researchers in business enterprises. Australia and the UK have very similar numbers of researchers in higher education and amongst the highest levels on international benchmarks (Figure 3). This structural discontinuity has led to a number of policy interventions in the UK in an attempt to optimise the value of the innovation system and links between businesses and universities. In the last 15 years the UK has invested in new programmes designed to enhance business: university interactions. These have included HEIF funding as a dedicated separate stream of appropriation funding, the Technology Strategy Board, the inclusion of Impact as a component of the 2015 REF, and the development of the network of Catapult centres. In 2001 Australia held a national debate on innovation but the additional resources that came out of that process created few new policy experiments, rather it reinforced public research institutional structures. Some of these structures evolved in the 1920s to support Australia’s development in a period when the universities were weaker research performers. There is an argument that Australia needs to be bolder in thinking about the structure of its research system to make it fit for purpose in the current economic climate and to align it with policies to strengthen the competitiveness of the country. The effect of the differences in approach to research commercialisation and knowledge exchange are now apparent. Normalised comparisons of the 2013 performance of Australia, Canada, UK and USA shows that the UK leads on invention disclosures and start-up funds and sits alongside the USA on US patents issued. Australia’s performance has lagged throughout the period 2003 to 2013. In both counties, the underlying mechanisms supporting public research organisations and universities – block grants, and competitive grants allocated by research councils – are broadly similar. These produce very similar high quality research outputs. However, Australia has a weak environment to help translate ideas into action. Further policy efforts to help the supply side are required if Australia is to remain competitive. It is also clear that the demand side needs a range of incentives. Current data suggests that only 3.5% of Australian businesses collaborate with universities compared with 31.0% of UK businesses. It can not be in Australia’s long term economic and social interests to ignore the lack of engagement between businesses and universities. Reviews are currently underway with the aim of developing an innovation and competitiveness agenda and in boosting commercial returns from research. Australia has much to learn from other economies, including the UK, in this area. Additional resources will be required to underpin business: university interactions while maintaining the strong basic research framework. Over the past twenty five years the governments of both countries have recognised the central role that universities play in the development of a knowledge economy but have struggled with the escalating demands for supporting an increasing number of domestic undergraduate students. Both economies have set out to create opportunities for citizens and have opened up universities to a larger proportion of the 18 – 35 age cohort. At the same time both systems have reorganised the fees framework and student living costs loans systems on several occasions in the attempt to reduce the direct costs to taxpayers. This remains a work in progress. In 1987, at the time of the unification of the Australian sector, the first income contingent fees and funding model came into play. The UK higher education sector unified in 1992 but it took the 2003 White Paper and the very heated political debate which followed to introduce a similar system. The effect in both countries has been to reduce the downward drift in total funding per student (ie the per capita funding coming from the block grants and the tuition fee paid by each student). Australia and the UK stand out as two OECD countries attempting to free their higher education systems from direct dependence on taxpayer funding and micro-control by central government. Student number controls have been liberated (in 2012 for Australia and 2014 for the UK), and there is willingness to explore the merits of moving towards further deregulation of fees for domestic undergraduates. These policies are not without other consequences, as the change in the control of student numbers in Australia has demonstrated. Some changes, such as the additional investment in marketing and dynamic staffing, are operational tactics. Other public concerns, such as the debate about the merits of changing the quality of intake, remain unresolved. Universities will need to demonstrate that graduates leaving these programmes meet employer expectations irrespective of their entry qualifications. Graduation remains the finishing line and to date there is insufficient evidence to evaluate the full effects of this policy. Nevertheless, the Australian data suggest that the opportunity of a university education has been extended to many more citizens, including students from less advantaged backgrounds, than in the recent past. The university research environment in both economies is remarkably similar. The majority of globally significant research teams appear to be concentrated in about one third of the universities. Very highly performing centres occur in more frequently UK universities – mainly clustered around the Golden Triangle of London, Cambridge and Oxford than in Australia. The two systems begin to diverge around the support of higher degree research students. Australia’s data shows a disconnection between the performance of some leading research intensive universities and their strategy in relation to graduate schools. This is a concern as previous studies of UK universities have demonstrated that the ecosystem linking research outputs, intellectual property and knowledge exchange in industry is closely associated with the strengths and scale of an institution’s graduate school. The sharpest discontinuity arises in the area of business: university interactions. In the past decade the UK has changed gear in this space and has invested in a number of significant initiatives. Over this period Australia has languished, partly because many businesses have focussed on back office functions rather than innovation and R&D, and partly because the incentives for universities to engage with corporations and SMEs with more energy are minimal or absent. So in summary: much of the Architecture appears to be the same. The Plumbing might be, but here it is more difficult to tell as different bits have required emergency call outs and at different times.